As you might know by now, I recently got my hair cut and colored. In order to lighten my hair, my hairdresser uses bleach (the price you pay to try to look like Taylor Swift, eh?). Unfortunately, bleach doesn't do kind things to my hair, especially the week following my hair job. It still doesn't smell nice and it definitely feels drier than it normally would during the winter. Again, I know this is normal and I normally embrace it until it eventually rehydrates. However, since my hair is so much shorter now and I need to looking healthy, I knew I was going to have to expedite this hydrating process! 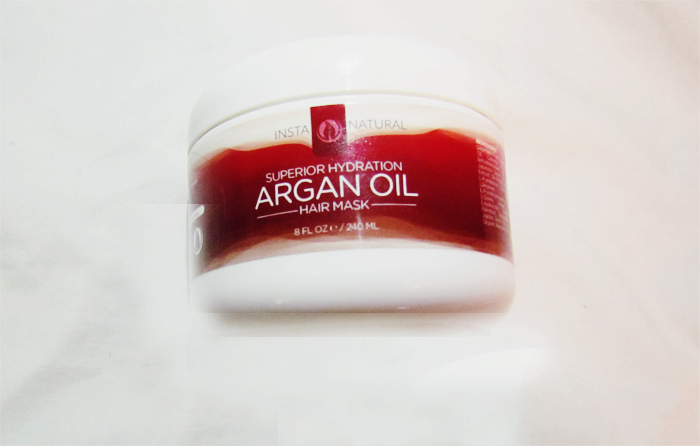 In almost perfect timing, I received my Argan Oil Hair Mask from InstaNatural in the mail this week. I have never tried a hair mask before, only deep conditioners, so I wasn't sure what to expect from this product besides something that smelled nice. I've only heard good things about the smell and effects of argan oil, but after some bad experiences with coconut oil, I was pretty weary about trying out a hair treatment that even mentioned the word oil. I've used the mask twice since receiving it, both after particularly rough days when it came to styling with heat and a generous amount of hairspray to keep it all in place. The first night I used it, I put it on for about 10 minutes, as the directions recommend putting on a generous amount from roots to tips and leave it in towel dried hair from anywhere between 5 to 15 minutes. I figured since this was my first time using it, 10 minutes would be a safe time where it might not over hydrate or make my hair greasy. I also didn't put it in my roots, but I did put it higher than I would with normal conditioner. 10 minutes later, I rinsed out the product and combed through my hair after towel drying it. The first thing I noticed was how fantastic my hair smelled. They're not lying when they say that argan oil smells heavenly. Then, about fifteen minutes when I was lying down and watching Youtube videos, I was playing with my hair and noticed that not even 30 minute after the treatment did my hair feel softer to the touch. I thought maybe I was just going crazy. There was no way that after just a single use my dull hair already felt that much smoother. But, lo and behold, I babysat the next morning and my cousin was playing with my hair and commented on how much softer it had gotten between the two days. I can't make this up, I swear to you this happened! Every product works differently for everybody, I know that. I have thick, bleached hair and I think that this hair mask worked wonders and immediately had an effect on my hair. The second time I used it yielded the same results, nice smelling and incredibly soft hair rather than gritty dyed hair. I think that if I continue to use this in combination with my normal hair routine, it'll speed up the process of getting my hair back to its normal texture! If you're looking for a new hair mask, or even your first hair mask like I was, I'd check out InstaNatural's Argan Oil Hair Mask, available through Amazon. 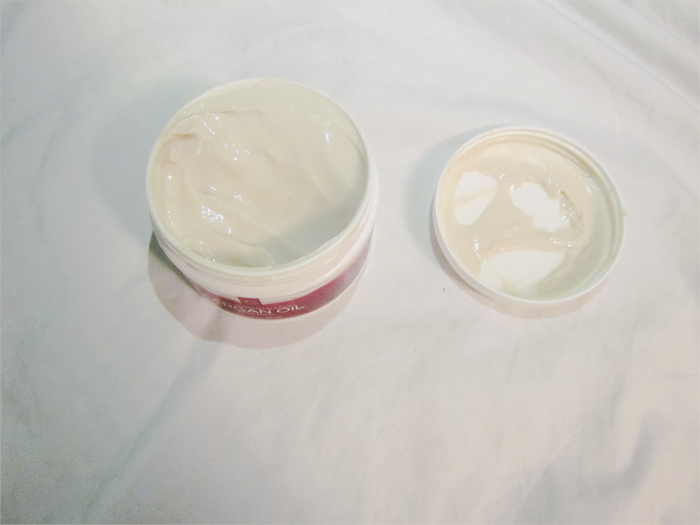 I like that it comes in a tub as well so you can easily see how much product is left! It's the little things, guys. 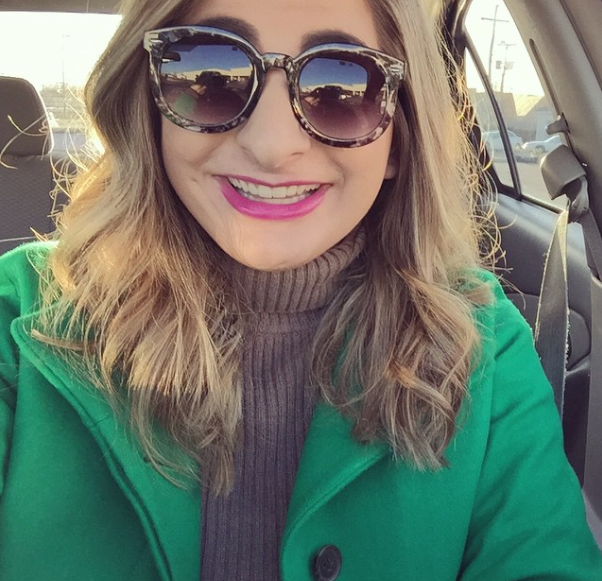 What's your all time favorite hair care product?